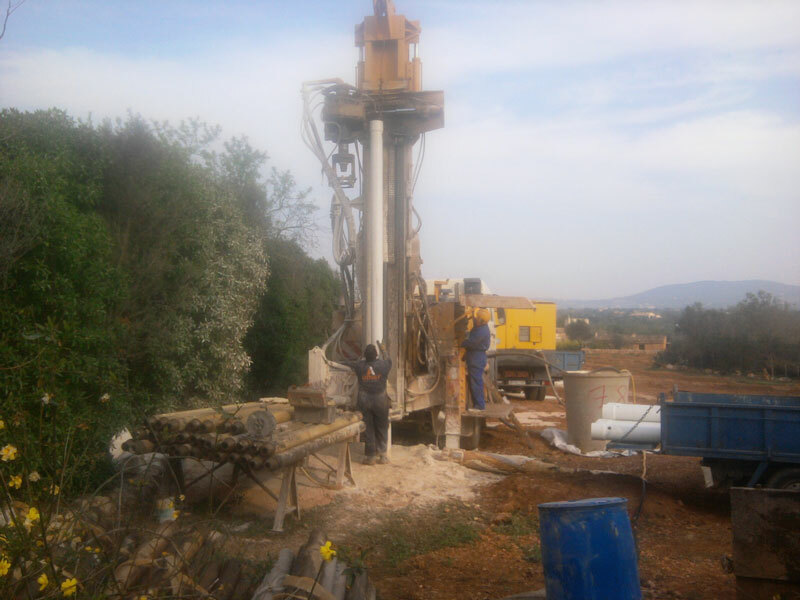 The manufacture of organic oil is more than a philosophy! Together with renouncing herbicides, insecticides and artificial fertilisers, no chemical synthetic means for pest and disease control are used because these accumulate to a large extent particularly in olive oil. Our organic agriculture relies on a natural series of events. Pests are controlled mechanically or by using natural predator. We use special types of grass and plants for nutritional supplementation of the soil and for pest control. 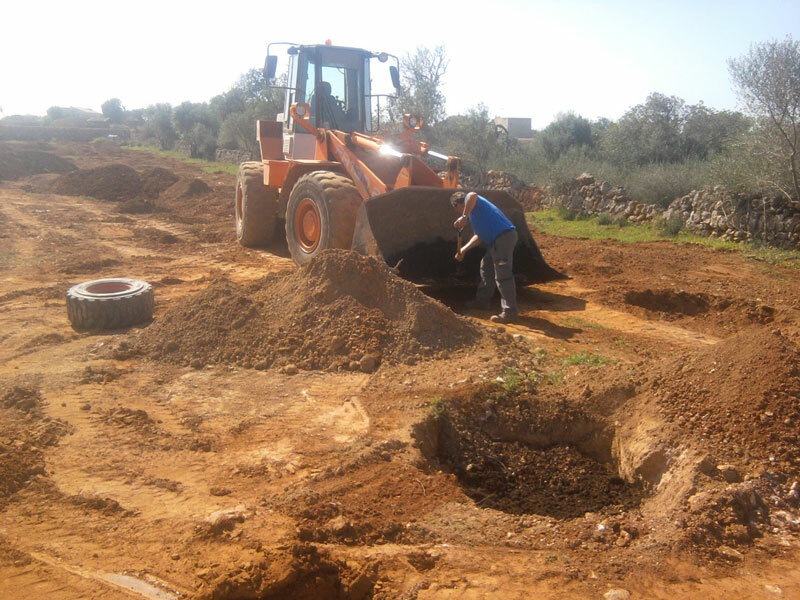 The 600 olive trees we currently have grow in a biologically active soil with millions of microorganisms. 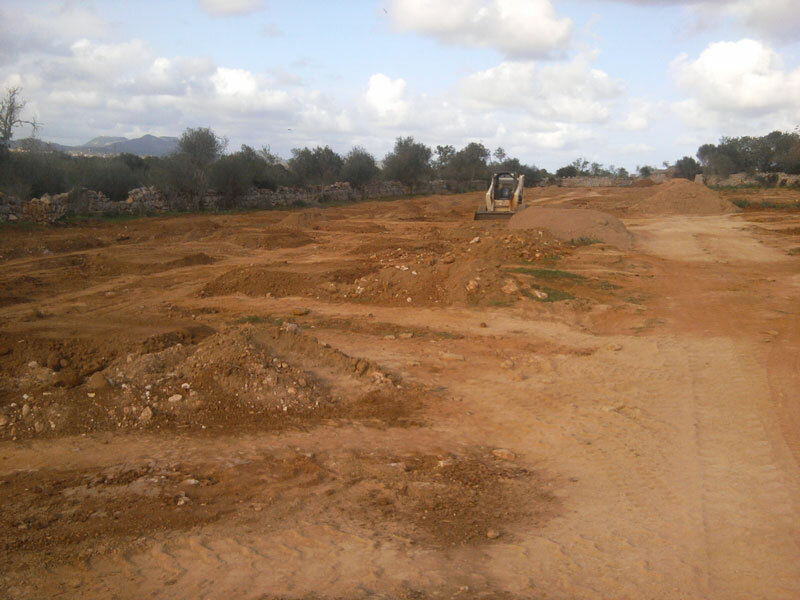 The creation and preservation of natural soil conditions are crucial. 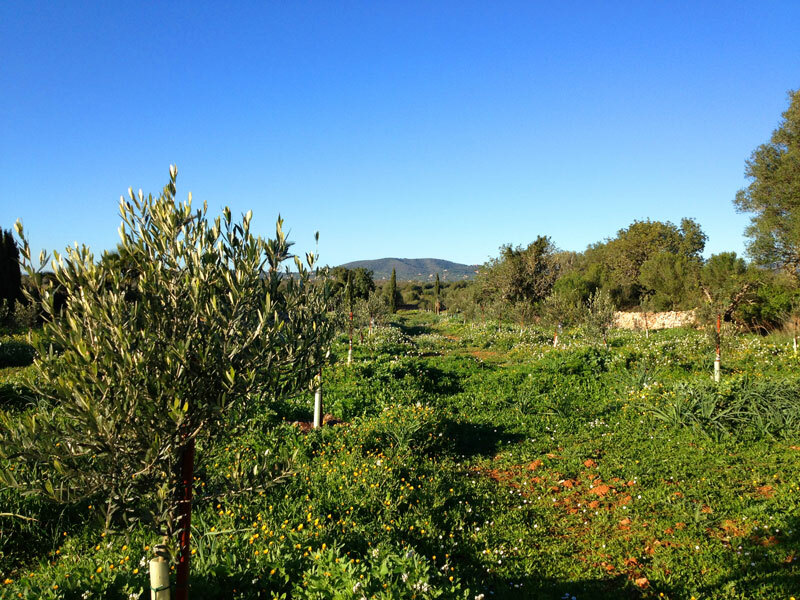 In the spring and summer, a carpet of herbs, grasses and flowers forms in between the rows of olive trees. 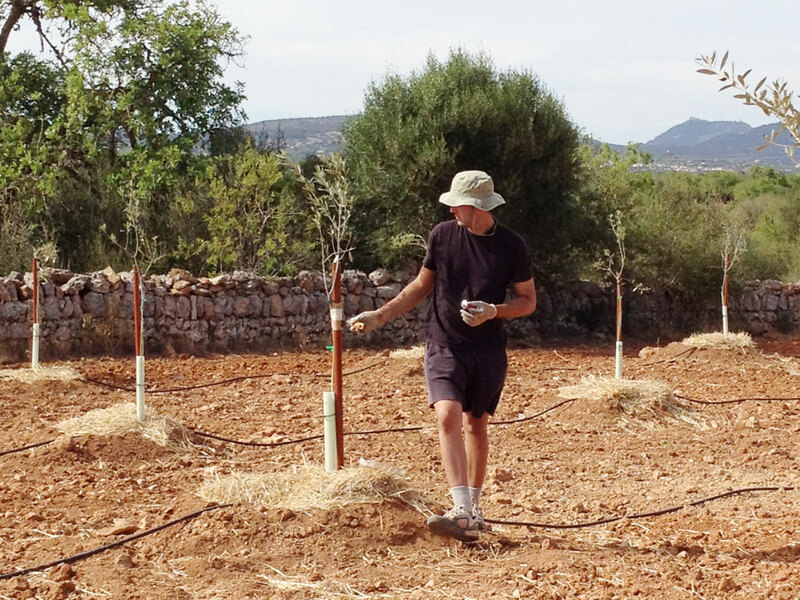 This diversity of varieties feeds the soil with the necessary nutrients and increases the resistance of the olive trees against pests and diseases. 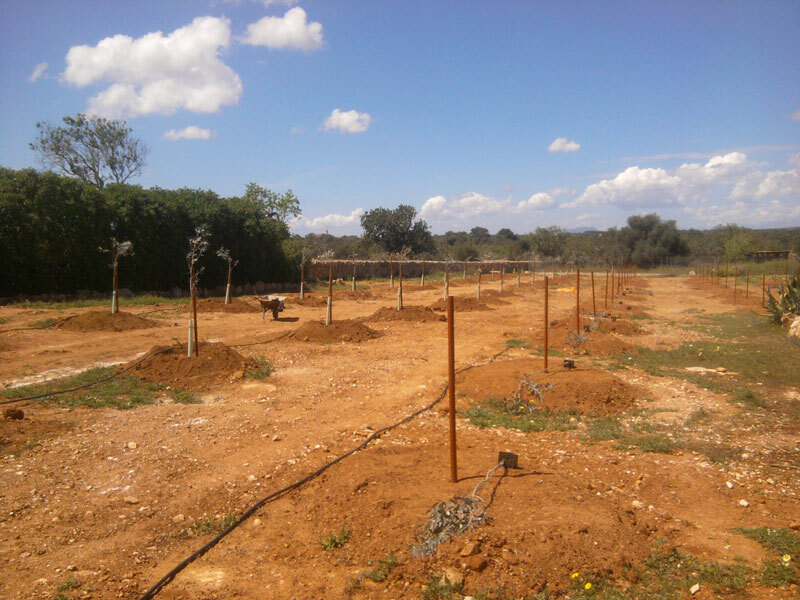 The outlay for caring for and monitoring the olive groves in this way is far greater than with conventional cultivation, however there are no harmful substances in our oil and you get a healthy, valuable aliment. “Organic”, done properly, can only be manufactured in small-scale production”. Our oil is bio-certified and monitored by the national authority in charge, CBPAE. We complement the strict conditions and controls by our own analyses, in cooperation with well-known laboratories. You protect what you love. 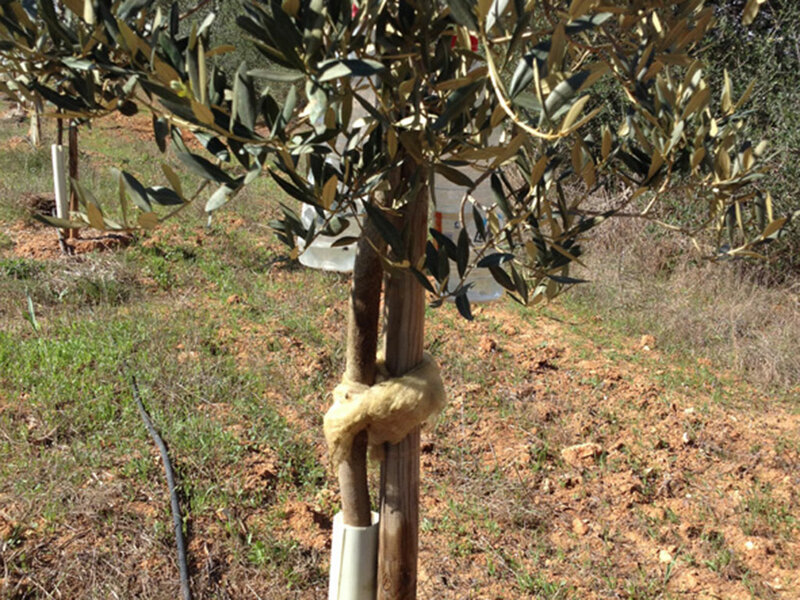 That’s why we manually wrap each of our valuable olive trees in sheep’s wool as a defence against pests. 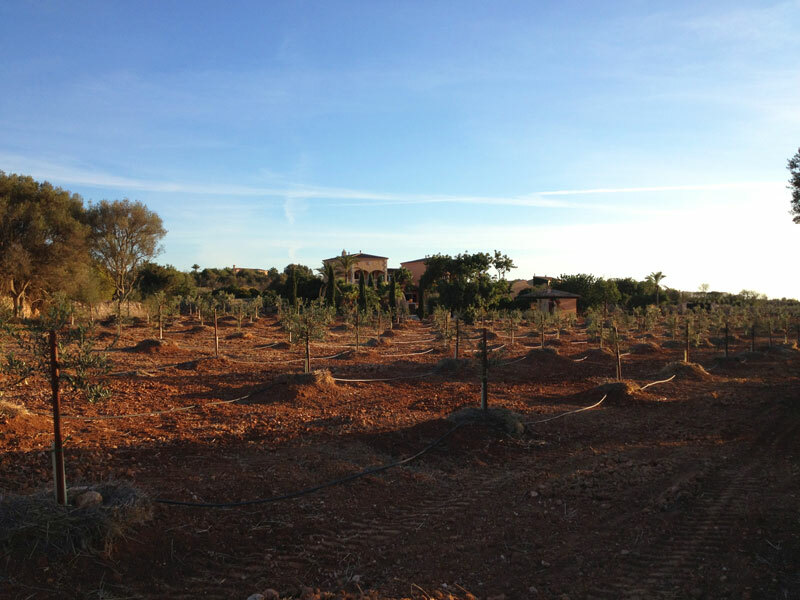 With a further combination of special ecological measures, we are able to fight off the damaging olive fruit flies. 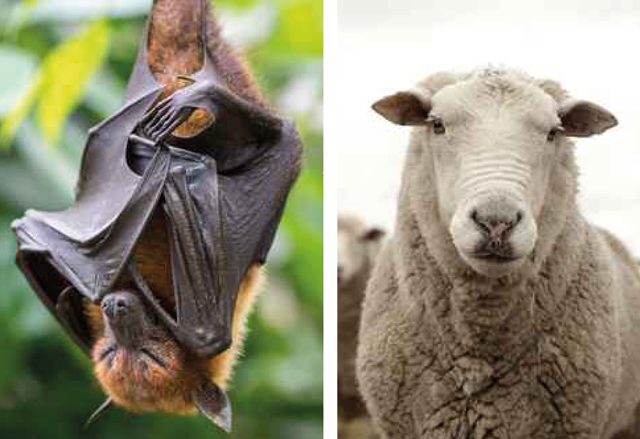 With this in mind, the latest project is the encouragement of the natural settlement of bats. They are not afraid of open country and are happy to occupy the special sleeping dens. As nocturnal animals they are effective insect exterminators. Because we do not use any pesticides, we can benefit from this natural type of pest control. 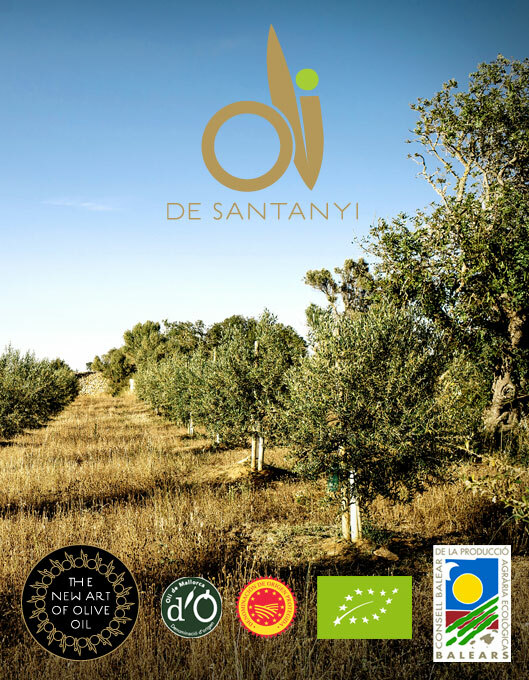 All these measures come with a great deal of effort and a lot of commitment so that in the autumn it will be possible to press our OLI DE SANTANYI oil from a rich harvest of high-quality olives. OIL THAT IS PRODUCED LIKE WINE In the same way the grapevine is nurtured, so too is the olive tree. 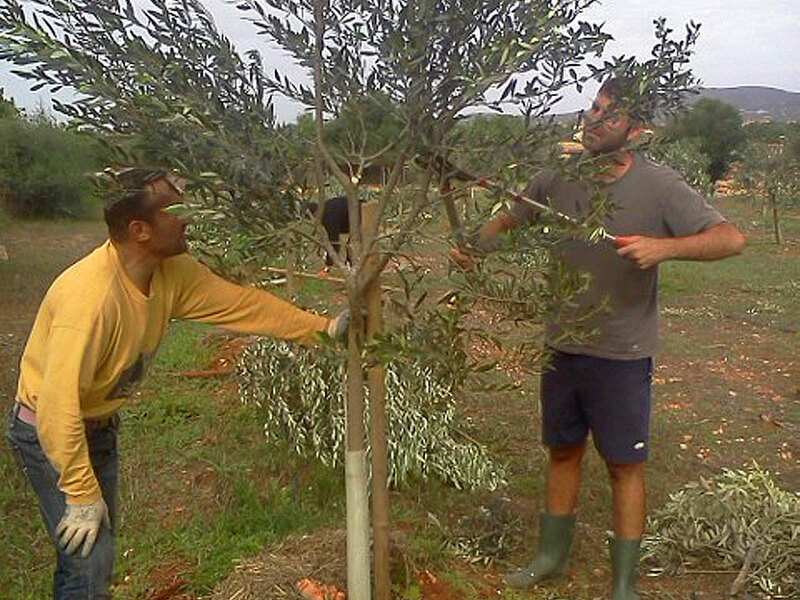 Through regular pruning, we influence the growth and the amount of olives per tree. By doing this, we increase the quality of the fruits but accept a smaller yield. 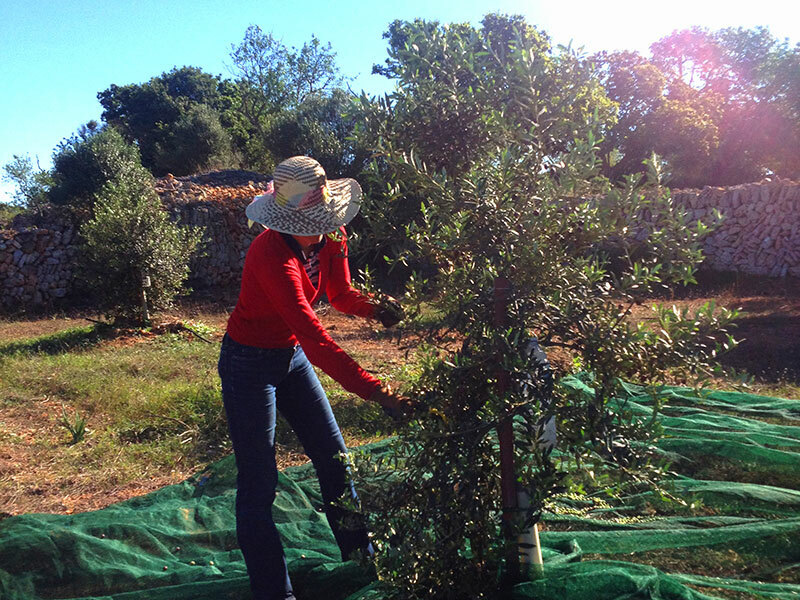 A first selection of the olives takes place during the harvest, which is done through hand-picking. Subsequently, a further selection takes place during the cleaning process. Only the best quality olives are processed. Through the extreme early harvest at the end of September and early October, we create a particularly valuable olive oil with a high percentage of polyphenols. 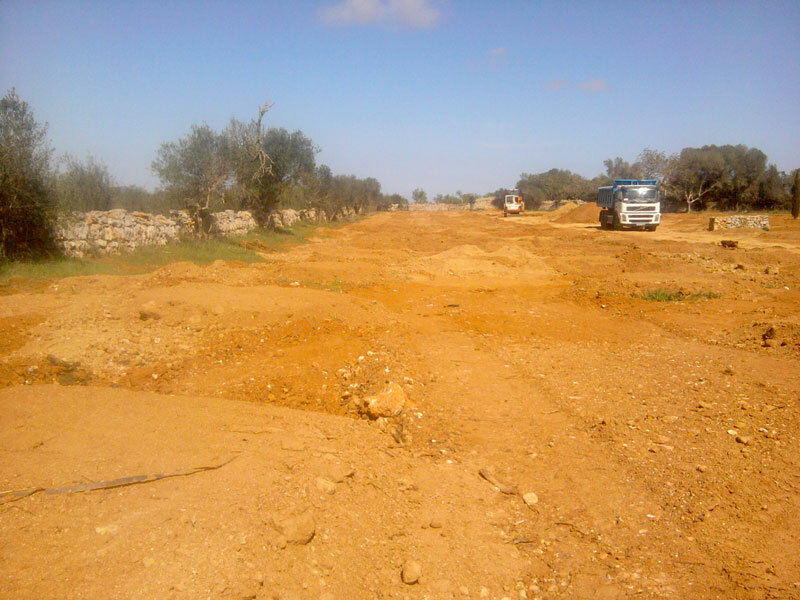 The olives on our finca are processed within 2 hours. Our “high-tech” oil mill is a purpose-built item for Oli de Santanyi and was specially developed for our high requirements in order to be able to produce a premium oil of the finest quality. The “green gold” is processed using an innovative procedure without air contact (in order to avoid oxidisation and fermentation) and without the addition of water. 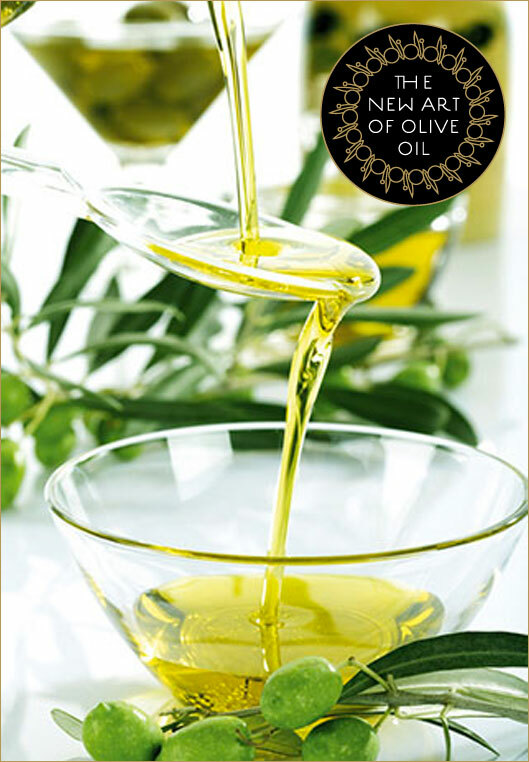 The result is a concentrated olive oil with strong fruity flavours and a high degree of valuable, health-promoting ingredients. Processing under laboratory conditions in a “high-tech” oil mill in order to avoid fermentation and increase shelf life. There are very precise specifications for classification in the EU Regulation on the quality of olive oil. The highest quality grade is extra virgin olive oil, which may only be produced using a mechanical procedure and which must fulfil strict conditions. The portion of free fatty acids may reach a maximum of 0.8%, which must be proved by a chemical analysis. 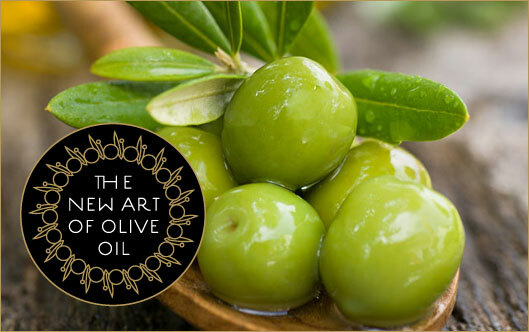 A lower portion of fatty acids is an indication that healthy, not overripe or rotten olives have been processed and that hygienic measures have been adhered to. However, this value is not the only requirement; additional chemical features have to be fulfilled. An important quality feature is the amount of polyphenols and tocopherols. Most olive oils have a maximum value of 100mg/kg. Better olive oils reach up to 250mg/kg. 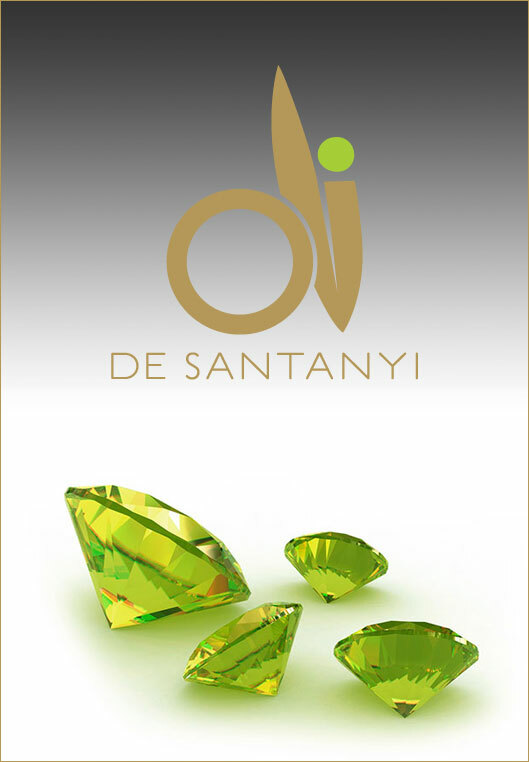 Our OLI DE SANTANYI has over 600mg/kg of polyphenols and 295 mg/kg of tocopherols (Vitamin E). As these antioxidants function as radical scavengers, they have a major influence on health according to numerous studies. Furthermore, they have a major influence on the taste quality of the olive oil. Our greatest aspiration is to preserve the outstanding quality of our oil and to send it to gourmets in a perfect condition. We use only 100ml and 250ml bottles so that the oil is used up in a shorter time. With larger quantities that are used for a longer time, the oxygen influx after opening causes oxidisation processes and a reduction in quality. Our organic extra virgin OLI DE SANTANYI tastes very fresh and fruity, with a fine piquancy and a touch of bitterness.